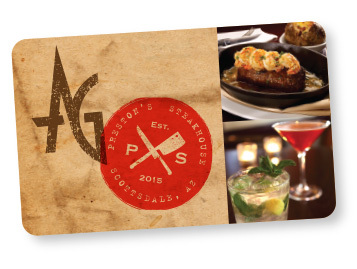 Share your love for Preston’s Steakhouse – and our sister restaurant, Arrowhead Grill – by treating friends, family, clients or colleagues to a meal specially crafted by Chef Charles Schwerd. 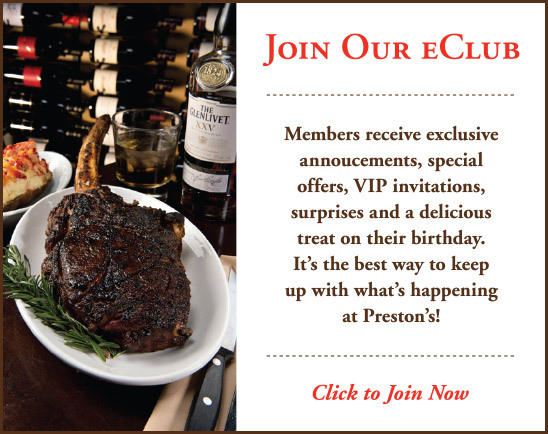 Dining at Preston’s Steakhouse or Arrowhead Grill is the perfect gift! Drop by either restaurant to purchase gift cards.